Desktop computers are often chosen as they offer the best performance for the money, but not all jobs demand a workstation that’s fixed into one office-like space. Indeed, it may become more appropriate for a mobile workstation that can be used in a variety of set-ups, for a multitude of tasks that couldn’t be achieved from a single location. Think editing on the move or from the sofa, offloading images from camera on the go, large screen previews on location, and Wi-Fi connectivity to send and receive files wherever you may be. However, the current breadth of the market may add some confusion with what to purchase: as good as, say, a netbook can be for a photographer, it’s not going to be a substitute for a powerful workstation; in fact it will be incapable of running the same software as a desktop machine and performance will be largely different. But that doesn’t eradicate its use for a small, lightweight, portable ‘ideas book’ or overflow storage device where shots can easily be offloaded and previewed on the device’s screen. The performance laptop or ‘desktop replacement’ offers much of the same power performance as a desktop and therefore offers true flexibility for the photographer on the move – whether it’s shooting tethered to the camera or just backing up. Downsides are that there are fewer expansion ports interior to the machine itself, and most likely fewer USB or Firewire ports too. But with the capability to plug in external monitors and peripherals such as keyboards and mice, the portable digital darkroom is a serious alternative with a whole host of benefits. Wi-Fi signifies the ability to join an internet connection via a wireless network, allowing for upload and download of data without the need for physical wires. It doesn’t stand for ‘Wireless Fidelity’, despite its name being a partial play on the ‘Hi-Fi’ (High Fidelity) familiarity we may associate it with. 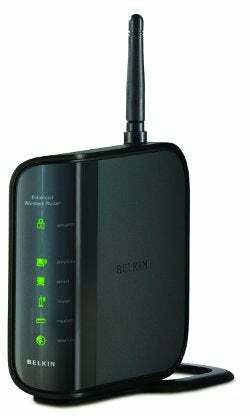 Connecting to a wireless network at home will require a wireless router, that you ought to password protect in order to restrict third-party use. Connection speeds may be slower than hard-wired speeds though this will depend on your network provider, your distance from the router and router’s potential speed. As the screen comes as part of your laptop, it’s easy to overlook its specification. Issues can occur when it comes to the viewing angle of laptop screens, causing colours and contrast to fall off rapidly at anything but a perpendicular view; and a glossy finish may cause unwanted reflections, making it difficult to see outdoors. These issues are tricky to assess without actually seeing your prospective purchase – so visit a shop and take a look to see the difference. It’s becoming more common for portable devices to ditch the optical Hard Disk Drive (HDD) in favour of a Solid State Drive (SSD). Standard HDDs rely on mechanical moving parts that can break, particularly if dropped while in use. SSDs don’t utilise moving parts meaning they are more reliable and consume less power. However, SSDs are currently expensive in comparison and don’t match the high-level capacities of their optical equivalents. Flash memory prices continue to fall, however, and it won’t be long before they overtake HDDs even for desktop machines. Portable Hard Drives are great for carrying masses of files on the go – but they’ve got even better of late by toughening up. 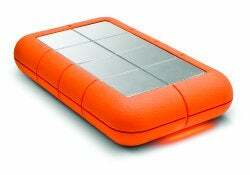 Many companies now sell drop-proof, shock-proof drives that can survive a knocking without damaging any data on board. Great for extra assurance that everything’s in good order. Netbooks and budget laptops are different beasts from performance laptops, and should only be considered as such. A netbook is designed for surfing the internet and basic word processing, so although it will have the ability to view images, don’t expect too much more beyond this. Budget laptops may be capable of running multiple programs, but are unlikely to have the processing power to hurtle through editing images. Ensure you check the details of processor speed, RAM, operating system and other features to confirm that specs meet the requirements of software that you’ll be running as there will be exceptions for all potential purchases. Some ‘portable’ laptops can be less easy to carry around than you may think. Many 17in laptops can weigh 3-4kg and, once you add peripherals and a carry bag, it can get very heavy indeed. Keep an eye on the screen size as models with 13-15in screens still have high resolutions and are much lighter to carry around. The only downside is that you may not have the space to compare multiple images as easily or for large numbers of toolbars. This is a trade-off between weight, physical size and display that you will need to make. For more information on setting up your computer as a digital darkroom view our Computer Set-Up page.